One might not feel like doing regular exercise back on Earth but in space it’s essential. 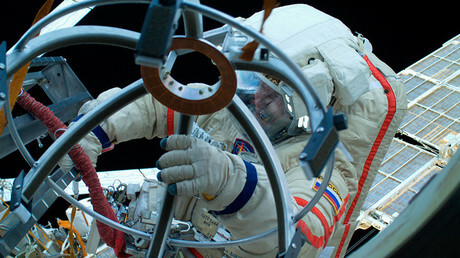 Cosmonaut Andrey Borisenko demonstrates the equipment that helps overcome the challenge of staying fit in zero gravity in the latest episode of RT's Space 360 project. When astronauts and cosmonauts are up at the International Space Station (ISS), their muscles waste away due to weightlessness, as they almost never have to seriously exert them. This can have serious consequences, Borisenko explains. 360 videos are best viewed in desktop browsers or in the YouTube app. “Imagine if you had to stay in bed for six months. It may be a good and comfortable bed, but all you can do is lie in it and never get up,” Borisenko explained. “In space, this represents basically a lethal risk as, in order to return back to Earth, the crew has to withstand some serious g-loads [a measure of the stress caused by gravitational acceleration]. To combat the effects of zero gravity, the spacemen have to follow a strict training regime every day, even on their off days. 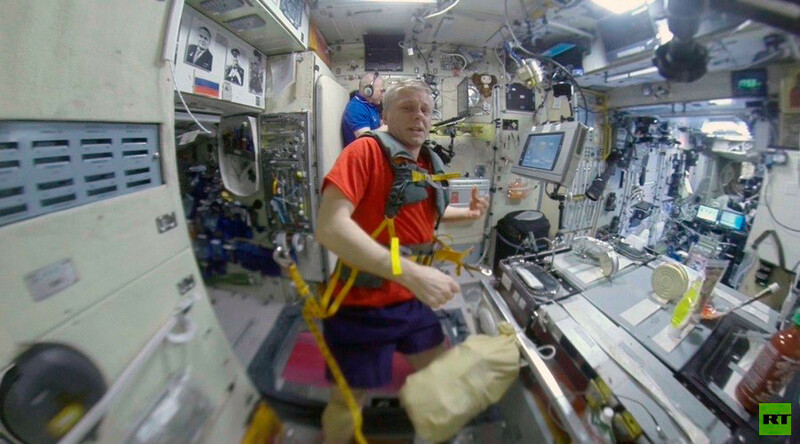 In the video, Borisenko demonstrates some of the exercise machines on board the ISS, which have some slight differences to the treadmills and bench presses you might have seen at your local gym. “Right now, as you can see I’m wearing special gear,” Borisenko says as he boards the treadmill. “It’s called a training loading suit. It imitates the g-force we would normally have on Earth. After your workout, you usually go to wash yourself down in the shower. Again, this isn’t a luxury the men and women on the International Space Station can afford, as the lack of gravity keeps water from falling in a straight line. Instead, as Borisenko shows, you must wipe yourself down wet towels. Space 360 is a joint project between RT, Russia’s space agency Roscosmos and Energia Rocket and Space Corporation. You can watch the video (and previous transmissions) from ISS on our dedicated website, available in six languages.